From her days persuading developers to exterminate lake flies around her home near the banks of Utah Lake to her time as a Saratoga Springs city councilwoman and her now current place in history as the first black Republican congresswoman, a reporter from The Salt Lake Tribune has never strayed too far from Mia Love. 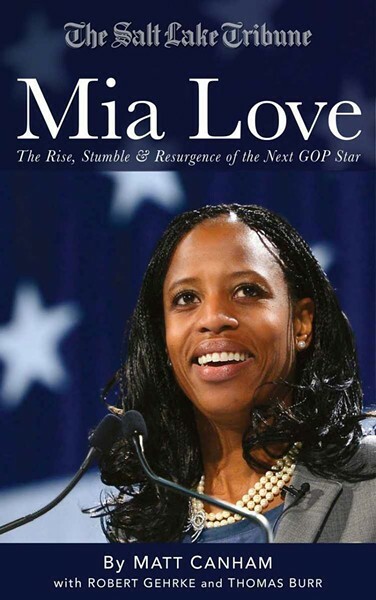 And that vault of reporting and data, much of which appeared on the Tribune's pages over the years, but some of which no doubt did not, is all available for $6.99 in the form of the e-book Mia Love: The Rise, Stumble and Resurgence of the Next GOP Star. The book was published Nov. 5, the day after Love defeated her Democratic opponent, Doug Owens, by lassoing 50 percent of 4th District voters to his 47 percent. But the book's timing, and the fact that it was penned by the same three Tribune political reporters who covered Love's career—and will most likely cover it long into the future—has drawn fire from some who worry that the Tribune's coverage during the pivotal campaign months might have been swayed by the presence of a side project. The most vocal critic to emerge so far is Sheryl Worsley, news director for KSL, who, shortly after the book's publication, ran her concerns past Andrew Seaman, ethics chair with the national Society of Professional Journalists. Worsley, a regional director of the Radio Television Digital News Association and a former president of the Utah Headliners, the state chapter of the SPJ, says the e-mail she sent to Seaman was not in her capacity as KSL news director, and was not meant to be public. Worsley says her concerns stem from the timeliness of the Tribune's disclosure of the book to Owens (middle of October), and a potential financial conflict of interest deriving from Love's victory. 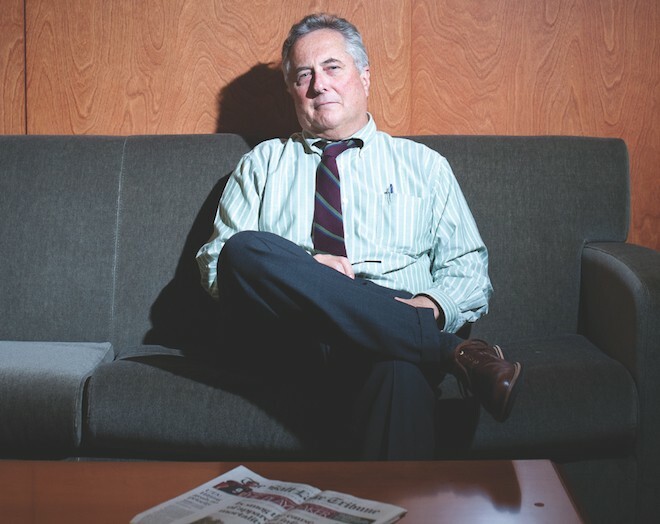 "My intent in writing the national SPJ ethics chair was not to file a formal complaint, but to get an opinion on the ethics of the situation," Worsley told City Weekly in a written statement. "It is incumbent on journalists to ask tough questions." The discussion surrounding the appropriateness of writing an unauthorized biography of a candidate as the campaign was unfurling is one Tribune Editor and Publisher Terry Orme didn't shy from. Orme says his quiver of political reporters, Matt Canham, Thomas Burr and Robert Gehrke—all co-authors of the Love book—have closely covered Love's political rise since she began to eye a national office four years ago. In this time, Love went from a mayor of a town on the muddy, bug-infested western strip of Utah Lake—a town that didn't exist 17 years ago—to a sweetheart of the neo-conservative movement who is currently undergoing a crash course in the House of Representatives in Washington, D.C. Along the way, Love, a daughter of Haitian immigrants, lost her first congressional race to outgoing 4th District Democratic Rep. Jim Matheson. And, depending on whom one asks, she nearly lost her second battle to Owens in a district with gerrymandered borders that were adjusted to guarantee a Republican victory. Yet she also raised boatloads more money than Owens, receiving help on the campaign trail from the likes of former Secretary of State Condoleezza Rice and former Massachusetts Gov. Mitt Romney. This improbable story, Orme says, was told by the Tribune in daily snippets of 700 words here and 1,000 words there over the course of years. Now, with the ability to publish a book via the Internet in a matter of hours, Orme wonders why the Tribune shouldn't "play in that sandbox." "We're covering this," Orme says. "We know more about this than anybody. We're the ones to write the story." Although this is the first time the Tribune has published an e-book, it has been considered before. The saga of Susan Cox Powell, who went missing from her West Valley City home in 2009, and the series of dominoes that fell for roughly three years before her husband, Josh Powell, killed himself and his two sons, was a story Orme says he and his staff considered publishing. For various reasons, Orme says, this didn't happen. But, as has been the case with many major news events in Utah, books were published about the Powell story. And, Orme says, they relied heavily on Tribune reporting. Orme says he doesn't fault these books, but he also doesn't see why Tribune reporters shouldn't have the opportunity to put their reporting into a comprehensive package that can shed a broad light on a complex topic. "That was the attraction: 'Hey, we've got this stuff, we should put it into that contextual big-picture look,'" Orme says. "To us, this is sort of an experiment. It's stepping into a new platform." Orme says that to his knowledge, no conflicts surfaced as the book was being written in step with the campaign coverage. He says no one, Owens included, has come forward to show that Tribune reporters went easy on Love in order to gain broader access for the book. Owens, through a spokesman, declined to comment on the publication of the e-book. Orme pointed out that on two occasions, Love got testy with reporter Matt Canham for asking her questions about her positions on abolishing the federal Department of Education, as she discussed during her 2012 congressional campaign. The Tribune's editorial board also endorsed Owens. "If anyone was dogging Mia Love on issues, it was us," Orme says. "I feel really strongly about that. I don't think anybody has pointed out anywhere in our coverage where we favored one candidate over the other." Gehrke says he and his colleagues were aware that conflicts could arise, but says the book was reported on just like any other campaign. If he were to do anything different, Gehrke says, perhaps he would more quickly disclose publicly that a book was being written. Even so, he says, he doesn't feel that reporting on the book compromised his ability to cover the campaign. And anyone who believes this is the case, he says, should point to a specific example. "We were handling it in a straightforward way," Gehrke says. "I don't think they can point to anything that we've left out of our coverage or killed anything in our coverage." On the topic of disclosure, Orme says he's not so sure the Tribune reporters needed to notify anyone that they were at work on a larger piece of journalism about Love. "It's not very often when you're out there going, 'We're writing this story or we're writing this book,'" Orme says, noting that "one or two" other e-books by Tribune reporters are in the works. "Journalists play their cards pretty close to their chest." Any concerns that the reporters who wrote the book will receive the proceeds, Orme says, are founded in reality. These reporters should be paid for their good work, he says, and notes that they are paid every day to cover politics. But the authors are far from becoming millionaires as a result of the book, Orme says. He hopes only that the e-book revenues will cover the costs of producing it. There was some disagreement between Orme and his reporters as to whether the book would have been published if Love had lost, Orme says. But since she did win, Orme says the decision was made to "strike while the iron's hot" and publish quickly. "I think we aspire to it being certainly a very important chronicle of the last four years and the fight over the most competitive legislative district in Utah," Orme says. "The one district where it's even close to being competitive."